The Russian Northern Fleet's Severodvinsk nuclear submarine (project 885) during an exercise off Zapadnaya Litsa Base. India and Russia are discussing the lease of another nuclear-powered submarine for the Indian navy. The issue came up in a telephonic conversation between defence ministers of the two countries on March 23. Russian Defence Minister Sergey Shoigu and Manohar Parrikar, India’s Defence Minister discussed the lease of a second nuclear submarine to India. While discussing military-technical cooperation between the two countries during a telephone conversation on March 23, the two ministers agreed to work out details for the transfer, on a leasing agreement, of a second nuclear-powered submarine (NPS) to the Indian Navy. According to Kommersant, the situation is being complicated by different approaches to this issue. In New Delhi they want to rent the latest multi-purpose project 885 Yasen-class submarine, but the Russian Navy has its own plans for this sub. A compromise being considered is the transfer of a project 971 submarine. Kommersant learned about the phone conversation between the two ministers from an official Defence Ministry press release which stated that, during the conversation, “urgent issues of mutual interest in military and military-technical cooperation spheres were raised. Both leaders were happy about the current level of cooperation, and outlined the directions of its further development,” the Russian Defence Ministry statement said. From sources in the defence establishment, Kommersant found that the main topic of discussion between Shoigu and Parikkar was the lease by India of a Russian nuclear submarine for a ten-year term. Sources said the issue was raised “at the highest level” in December 2015, when Prime Minister Narendra Modi visited Moscow, but an agreement could not be quickly reached because of technical differences. Eventually, Modi and President Vladimir Putin appointed negotiators to hold additional consultations. The next round of talks is scheduled for April, when an Indian military delegation is expected to come to Moscow and meet with representatives of Rosoboronexport, special exporter of Russian arms, and the United Shipbuilding Corporation (USC). Official representatives of these two companies refused to comment on this subject. Cooperation between Moscow and Delhi for export of marine equipment is developing well. India has bought project 11356 frigates, project 636 Varshavyanka and 877 Paltus diesel-electric submarines and, in 2012, India leased a project 971 nuclear-powered submarine, calling it the Chakra. Transfer of the Chakra was originally due in 2007, but the complexity of the modernization works and an accident (in 2008, the fire extinguishing system was accidently triggered – resulting in the deaths of several crew members), delayed the process. The final acceptance report was not signed until December 30, 2011, when the Indian Navy professed itself satisfied. 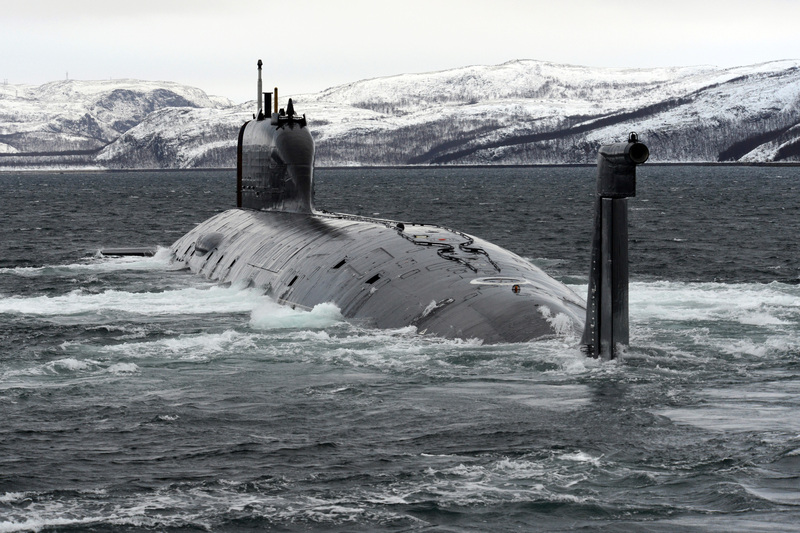 Negotiations soon began to lease a second nuclear-powered submarine. This is where differences arose. According to Kommersant sources, the Indians began looking closely at leasing the latest multi-purpose Project 885 Yasen-class submarine. The Russians did not like this idea, for several reasons, said a senior manager in the shipbuilding sector. First, the first lead submarine of this class entered service with the Russian Navy in 2014, and so far, is the only one of its kind. Secondly, the submarines Kazan, Novosibirsk, and Krasnoyarsk, built by Sevmash, carry out “special tasks” related to national security for the Russian Navy and, according to a source, Russia has no intention of letting anyone have access to the special technologies installed on them. Finally, there is the question of pricing. While leasing a project 971 submarine was estimated at $785 million, rental charges for a Yasen-class, because of its features, would cost India much more money. Russian negotiators are likely to propose something else to the Indian military about leasing another project 971 nuclear-powered submarine. A top manager in the shipbuilding sector said two options were being considered; either taking a submarine out of service from the Russian Navy, followed by its upgradation based on India’s requirements, at the Zvezdochka Shipyards in Severodvinsk, or completion of an already laid hull, preserved since the Soviet era in the Amur Shipyard. The final decision, the manager said, is not likely before 2017, by which time India would be ready to respond to the Russian proposals.